Second Book – Between Us Only! « www.majidall.com – Being who you are and saying what you really feel! Tag Archives: Second Book – Between Us Only! A LAST Cry For Help!, A Personal Note & Message, About Life's Teachings!, About My Books!, About Oman, All About Me!, All My Books Icons, All My Websites!, An Open Letter, Announcements, At My Workplace Column!, Between Us Only! Column, Books Announcement, Books by Majid Al Suleimany, Books Reviews & Press Release, Column Revived, Comments Received, Complex and Difficult Topics, Connection To My Books, Deep Self Analysis and Conscience Topics, Difficult Topic, End of Between Us Only!, End of The Columns, Feedbacks and Responses Received, Feedbacks Received, From My Heart!, Letter To The Press, Majid Al Suleimany Columns, Majid Al Suleimany Websites!, Me So Sad!, Message To The Leadership!, My books now in eBooks format!, New Book Between Us Only! Three!, Opinion, Religious Article, Remember Others in Life!, The Final Observer Article, The Nation, The Oman Daily Observer Columns, Why I am so sad! 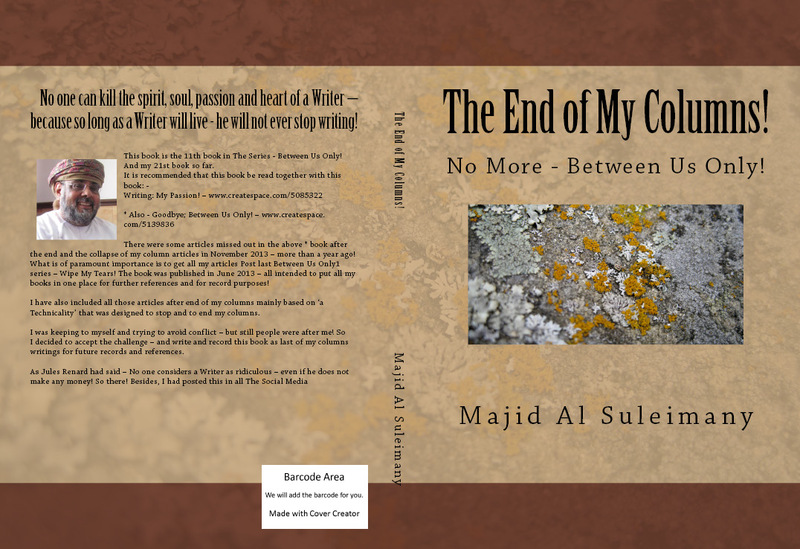 • Tags: Between Us Only!, Bloody Shame!, Majid Al Suleimany, Oman, Omani Authors, Poor Weak Docile Naive Omani Managers!, Second Book - Between Us Only!, Shame!, Stop The Indian Mafias in The Press Now!, The End of My Columns!, The Old Guards, The Oman Daily Observer, Writers and Columnists! The End of My Columns! No More – Between Us Only! Goodbye; Between Us Only! My New Book! This book is the 11th book in The Series – Between Us Only! And my 21st book so far. There were some articles missed out in the above * book after the end and the collapse of my column articles in November 2013 – more than a year ago! What is of paramount importance is to get all my articles Post last Between Us Only1 series – Wipe My Tears! The book was published in June 2013 – all intended to put all my books in one place for further references and for record purposes! I have also included all those articles after end of my columns mainly based on ‘a Technicality’ that was designed to stop and to end my columns. I was keeping to myself and trying to avoid conflict – but still people were after me! So I decided to accept the challenge – and write and record this book as last of my columns writings for future records and references. 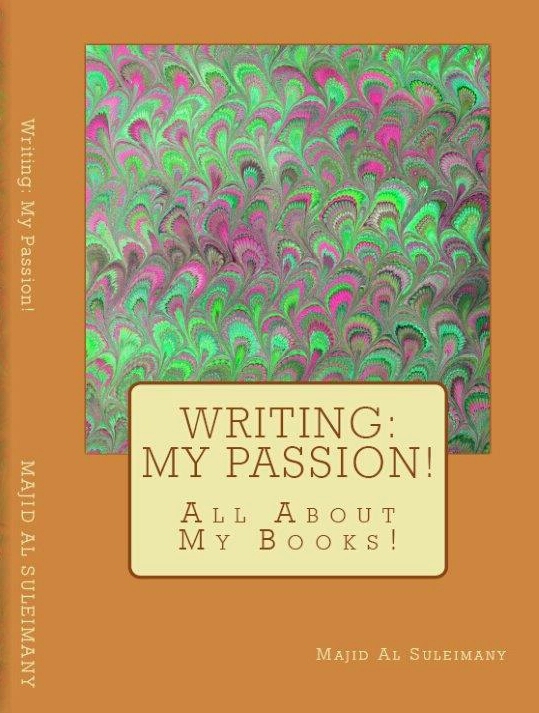 No one can kill the spirit, soul and heart of a Writer – because so long as a Writer will live he will not stop writing! One – Do you watch the News? – myownmajid.com – www.majidall.com and www.majidwrite.com – Speak The Truth Always! 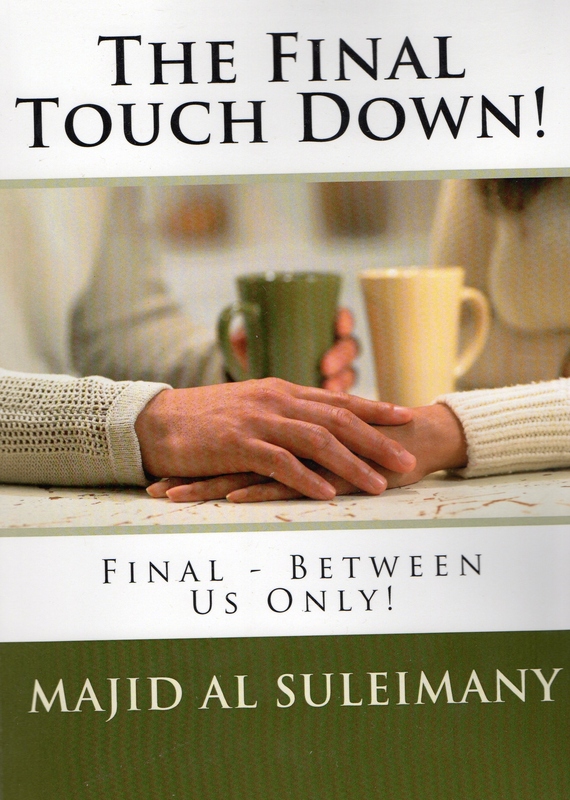 This book is the 11th book in The Series – Between Us Only! And my 21 book so far. In order to expedite the book publishing process, minimal images are going to be inserted. Paramount importance is to get all my articles Post last Between Us Only1 series – Wipe My Tears! The book was published in June 2013 – all intended to put all my books in one place for further references and for record purposes! I have also included all those articles after end of my columns mainly based on ‘a Technicality’ designed to stop and to end my columns. I was keeping to myself and trying to avoid conflict – but still people were after me! So I decided to accept the challenge – and write and record this book as the last of my columns writings for future records and references. Why are we so set against each other? We will support The Foreigner and The Expatriate but not esteem and value our own! We do not have trust and confidence on our own! It is part of this great CURSE Jealousy, Envy and Bad Hearts within us! Bad unfeeling uncaring hearts inside some of us only! Pure evil-like just as is ISIL! It takes only one person to destroy the works that took so many others so many years to build – and we never learn until it is too late! Do Not Cry It Is Over! Be Happy That It Has Happened!